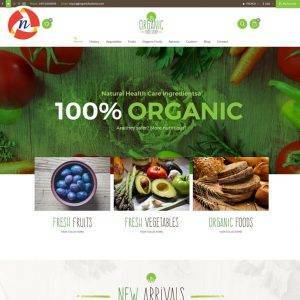 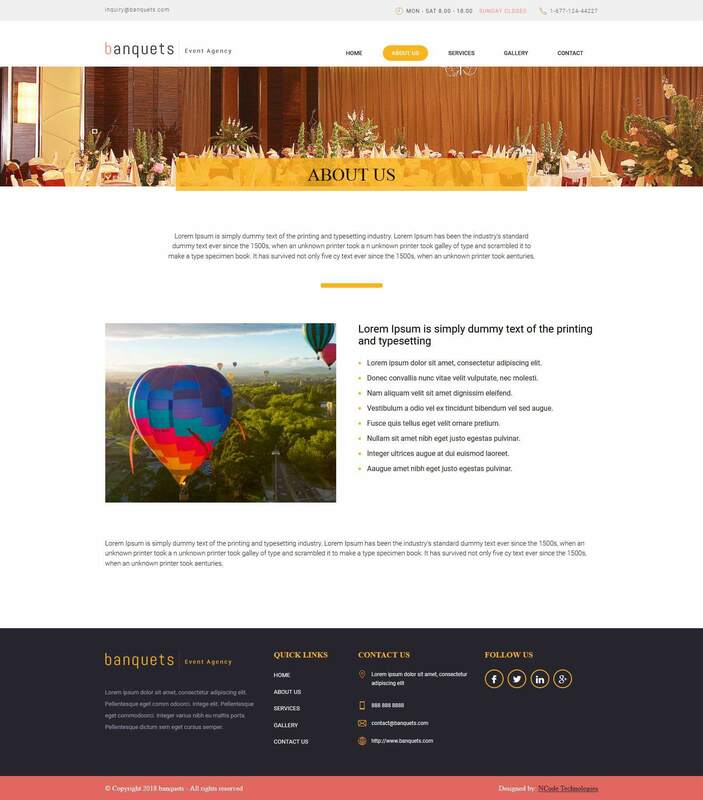 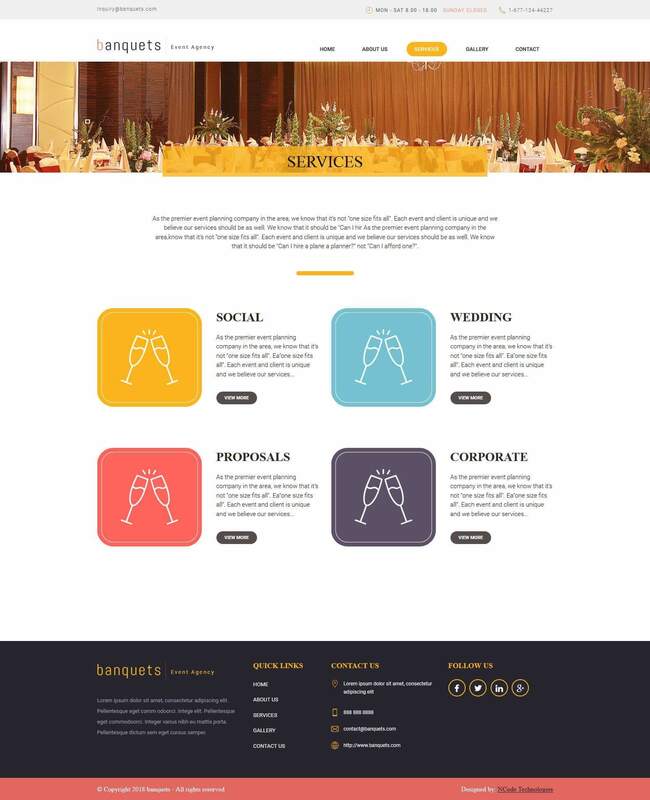 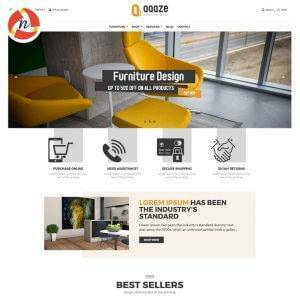 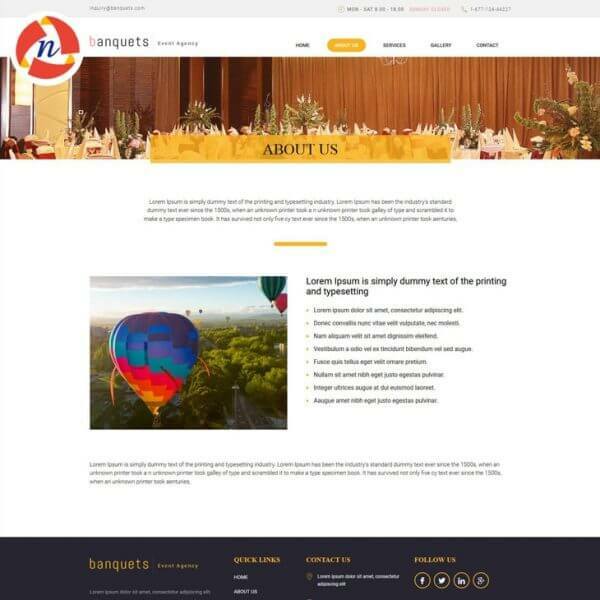 OnBTIME PSD Template for Banquets Website - NCode Technologies, Inc.
OnBTIME PSD Template for Banquets Website is a beautiful & attractive Wedding and Event Planner theme with a fashionable, fresh, clean and tender design. 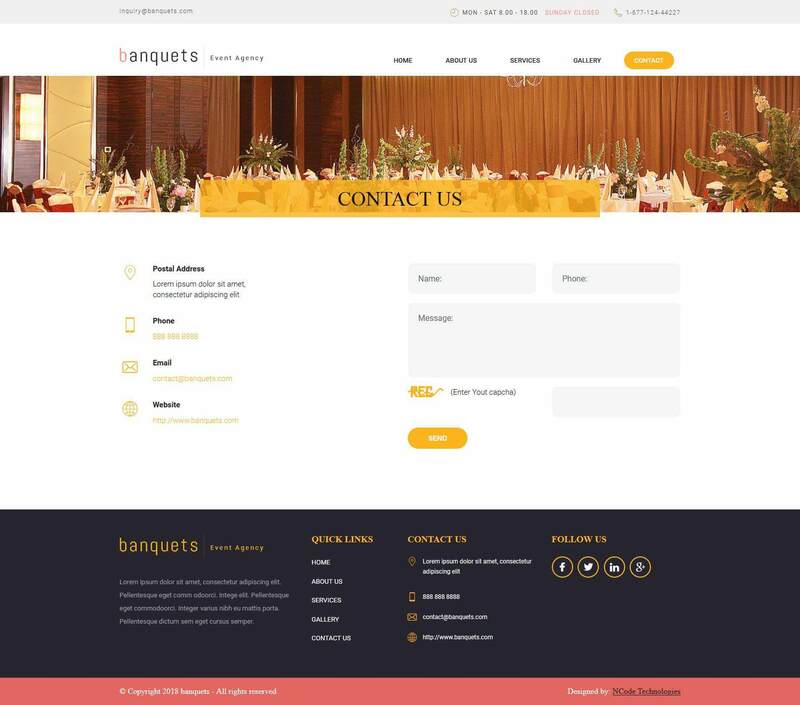 OnBTIME PSD Template Banquet is an elegant PSD with a trendy look to build a website of all kind of events. 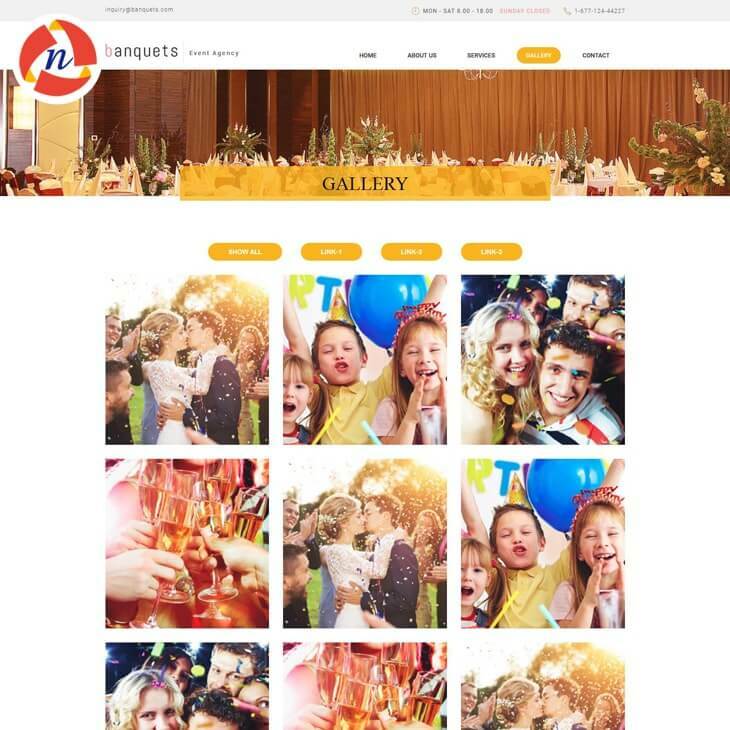 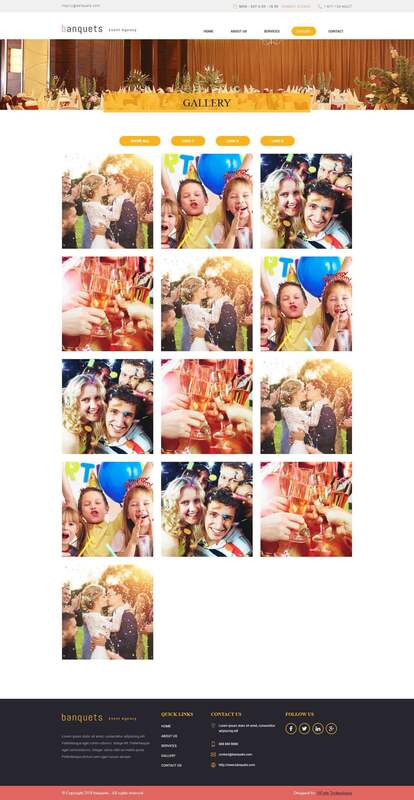 It is perfectly suitable for birthday, anniversary, engagement party or any other events. 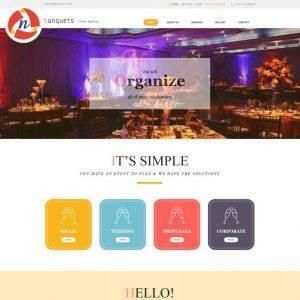 Banquet is a beautiful & attractive Wedding and Event Planner theme with a fashionable, fresh, clean and tender design. 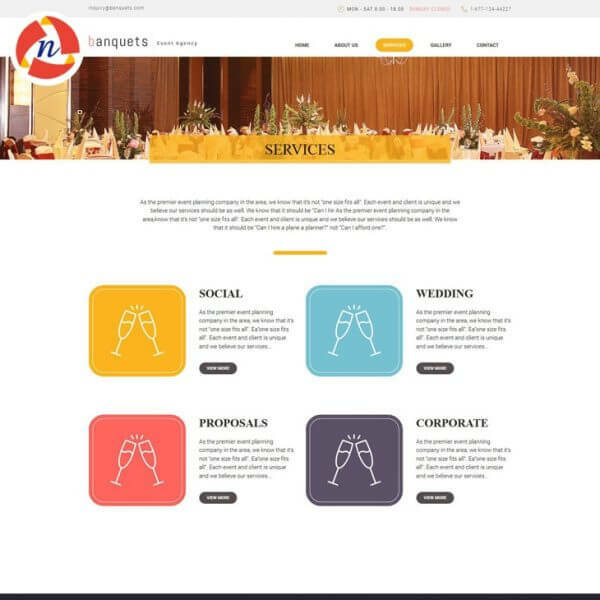 It is developed for a wedding planning or any event planning (parties bureau, birthdays services, meetings solutions, conferences business, training firm). Easy to convert into HTML, WordPress and other systems.